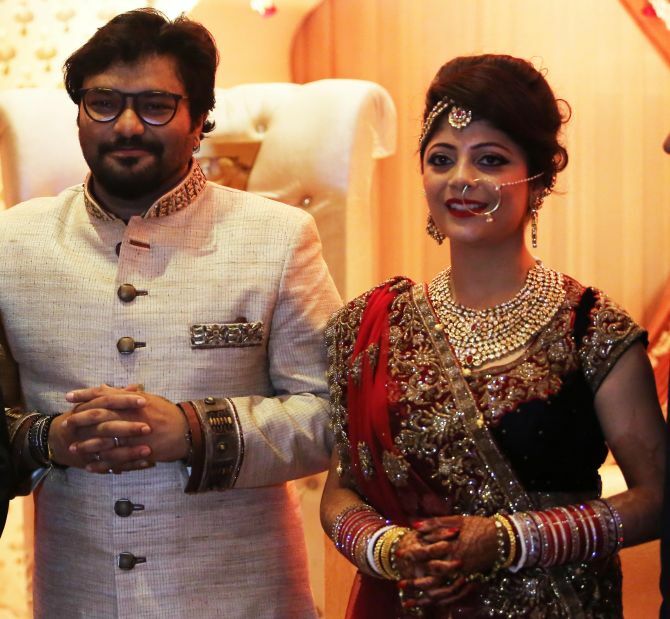 Singer and Union Minister Babul Supriyo tied the knot with his airhostess girlfriend of two years Rachna Sharma. It was a high profile wedding last night in Delhi which was attended by many politicians including Narendra Modi, singers and his friends from the Bengali film industry.Though the couple had a low-key engagement ceremony two months ago, their wedding had many VIPs.45-year old Babul, who was earlier married to Rhea, has a daughter named Sharmilee. The Sitaro Ke Mehfil singer found love in Rachna during one of his work trips to Kolkata.